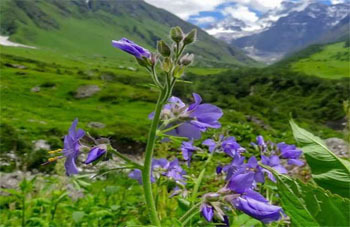 Planning visiting to the Valley of Flowers including Hemkund Shahib. World’s highest gurudwara named ‘Hemkunt Sahib’ is in Utrakhand. You can take holy dip in half frozen hemkund & take the blessing at Gurudwara & participate in Lunger. Best way to reach there from Haridwar. This Valley of Flowers Package From Haridwar you can find Best Cost and get Trekking to the Valley of Flowers From Haridwar. In Addition get top quality accommodation and transport for 5 Nights and 6 Days. Day 5: Ghangaria – Hemkunt Sahib - Ghangharia. Early morning trek to Hemkunt Sahib (as early as possible). The trek is although stiff but beautiful. After trekking up for approx. 4 hrs, will reach at World’s highest gurudwara named ‘Hemkunt Sahib’. Take holy dip in half frozen hemkund & take the blessing at Gurudwara & participate in Lunger. Visit Laxman Temple (One of few temples of Laxman Ji) also. Leave the place before 2 PM & trek down to Ghangharia for dinner & overnight stay. Day 6: Govindghat - Haridwar (295 Kms/10-12hr) Height: 895 MTS.